Since Rousseau was convinced that the social state was a human invention, he had to place the law and the legislator on a very high pedestal. According to him, the law ought to transform the people and create or not create property. But in my opinion, society, people, and property existed before the laws, and, to limit myself to a particular question, I would say: It is not because there are laws that there is property, but it is because there is property that there are laws. These two systems are extreme opposites and the consequences that result from each one of them are constantly divergent; let me therefore set out the question clearly. I warn you first of all that I am taking the word “property” in a general sense and not in the restricted sense of landed property. I regret, and probably all economists regret with me that this word involuntarily awakens in us the idea of possession of land. What I mean by “property” is the right the worker* has over the value he has created through his work. That said, I ask myself if this right is a legal creation, or if it is not, on the contrary, prior to and superior to the law? Was it necessary for the law to give birth to the right of property, or the contrary, was property a fact and a pre-existing right that had given birth to the law? If the first case is true then the mission of the legislator is to organize, amend, and even eliminate property if he thinks it good, but if the second case is correct his powers are limited to guaranteeing property and ensuring that it is respected. I ask whether the rights of property are not among those rights that, very far from deriving from positive law, predate the law and are its reason for being. This is not, as might be thought, a slight or pointless question. It is a vast and fundamental one. The answer to it is of the highest concern to society, something you will be convinced of, I hope, once I have compared the origins and effects of these two opposing theoretical systems. Economists believe that property is a providential fact like the person. The law did not give existence to one any more than the other. Property is a necessary consequence of the constitution of man. In the full sense of the word, man is born a property owner, since he is born with needs whose satisfaction is essential to life, with organs and faculties whose exercise is essential to the satisfaction of these needs. Faculties are only an extension of the person; and property is nothing but an extension of the faculties. To separate a man from his faculties is to cause him to die; to separate a man from the product of his faculties is likewise to cause him to die. There are some political theorists who are very much concerned with knowing how God ought to have made man. We, for our part, study man as God has made him. We observe that he cannot live without providing for his wants, that he cannot provide for his wants without labor, and that he will not perform any labor if he is not sure of applying the fruit of his labor to the satisfaction of his wants. That is why we believe that property has been divinely instituted, and that the object of human law is its protection or security. It is because of these primordial facts, which are necessary consequences of the very nature of man, that the law intervenes. As the desire for life and self-development can induce the strong man to despoil the weak, and thus to violate his right to the fruits of his labor, it has been agreed that the combined force of all members of society should be devoted to preventing and repressing violence. The function of the law, then, is to safeguard the right to property. Let us now seek for the origin of the opposing system. From where do we derive our ideas on these matters, and even our very notion of rights? From Latin literature and Roman law. The Romans could not fail to consider property anything but a purely conventional fact—a product, an artificial creation, of written law. Evidently they could not go back, as political economy does, to the very nature of man and perceive the relations and necessary connections that exist among wants, faculties, labor, and property. It would have been absurd and suicidal for them to have done so. How could they, when they lived by looting, when all their property was the fruit of plunder, when they had based their whole way of life on the labor of slaves; how could they, without shattering the foundations of their society, introduce into their legislation the idea that the true title to property is the labor that produces it? No, they could neither say it nor think it. It is sad to think that the science of law as we know it in the nineteenth century is still based on principles formulated in antiquity to justify slavery; but this is easily explained. The teaching of law is monopolized in France, and monopoly excludes progress. It is true that jurists do not create all of public opinion; but it must be said that university and clerical education prepares French youth marvelously to accept the false ideas of jurists on these matters, since, the better to assure this, it plunges all of us, during the ten best years of our lives, in the atmosphere of war and slavery that enveloped and permeated Roman society. Do not be surprised, then, to see reproduced in the eighteenth century the Roman idea that property is a matter of convention and of legal institution; that, far from law being a corollary of property, it is property that is a corollary of law. We know that, for Rousseau, not only property but the whole of society was the result of a contract, of an invention, a product of the legislator’s mind. Thus, the right that serves as the basis of all the others is purely conventional. Hence, property, which is a subsequent right, is also conventional. It does not come from Nature. Thus, Robespierre sets up an opposition between liberty and property. According to him these are two rights of different origin: liberty comes from Nature; property is socially instituted. The first is natural; the second, conventional. The fact that Robespierre imposes identical limits on these two rights should have led him to think that they come from the same source. It is precisely because property as well as liberty is a right prior to the law that both exist only on condition of respecting the like right of others, and it is the function of the law to see that this limit is respected, which means to recognize and support this very principle. In any case, it is certain that Robespierre, following Rousseau’s example, considered property as a social institution, as a convention. He did not connect it at all with its true justification, which is labor. It is the right, he said, to dispose of the portion of goods guaranteed by law. Thus, this idea that the right to property is socially instituted, that it is an invention of the legislator, a creation of the law—in other words, that it is unknown to men in the state of nature—has been transmitted from the Romans down to us, through the teaching of law, classical studies, the political theorists of the eighteenth century, the revolutionaries of 1793, and the modern proponents of a planned social order. (Modern-day liberalism or, as some like to call it, progressivism, in the United States also operates from the assumption that the legislator and by extension the whole machine of government should be the master of the people and that the people are to be shaped and molded in accordance with their statist theories. This assumption is so prevalent that even the Republican party has been corrupted by it as is evidenced by its own legislative activity, and has even come to endorse it. Let us now proceed to consider the consequences of the two systems that I have just placed in opposition. Let us begin with the legal system. The first result is to open an unlimited field to the imagination of the utopians. This is obvious. Once it is accepted in principle that property derives its existence from the law, there are as many possible ways of organizing labor as there are possible laws in the heads of dreamers. Once it is accepted in principle that it is the responsibility of the legislator to arrange, combine, and form persons and property in any way he pleases, there are no limits to the imaginable ways in which persons and property can be arranged, combined, and formed. It is the law that creates the right to property; it is the legislator who disposes of the workers and the fruits of their labor as an absolute master. There are an unlimited number of them. Each morning a new one may appear, more seductive than that of the day before, and I leave it to your imagination to envision what would become of mankind if, as soon as one of these plans were imposed on us, another more plausible were suddenly to make its appearance. Mankind would be reduced to the alternative either of changing its mode of life every morning, or of persevering forever along a road recognized as false, simply because it had already been entered upon. A second result is to arouse in all these dreamers a thirst for power. Suppose I conceive of a system for the organization of labor. To set forth my system and wait for men to adopt it if it is good, would be to assume that the initiative lies with them. But in the system that I am examining, the initiative lies with the legislator. “The legislator,” as Rousseau says, “should feel strong enough to transform human nature.” Hence, what I should aspire to is to become a legislator, in order to impose on mankind a social order of my own invention. In this regard, the National Assembly has recently presented us with a most extraordinary spectacle. Did we not hear, right in the middle of the nineteenth century, a few days after the February Revolution (a revolution made in the name of liberty) a man, more than a cabinet minister, actually a member of the provisional government, a public official vested with revolutionary and unlimited authority, coolly inquire whether in the allotment of wages it was good to consider the strength, the talent, the industriousness, the capability of the worker, that is, the wealth he produced; or whether, in disregard of these personal virtues or of their useful effect, it would not be better to give everyone henceforth a uniform remuneration? This is tantamount to asking: Will a yard of cloth brought to market by an idler sell at the same price as two yards offered by an industrious man? And, what passes all belief, this same individual proclaimed that he would prefer profits to be uniform, whatever the quality or the quantity of the product offered for sale, and he therefore decided in his wisdom that, although two are two by nature, they are to be no more than one by law. This is where we get when we start from the assumption that the law is stronger than nature. Those whom he addressed apparently understood that such arbitrariness is repugnant to the very nature of man, that one yard of cloth could never be made to give the right to the same remuneration as two yards. In such a case, the competition that was to be abolished would be replaced by another competition a thousand times worse: each worker would strive to be the one who worked the least, who exerted himself the least, since, by law, the wage would always be guaranteed and would be the same for all. But Citizen Blanc had foreseen this objection, and, to prevent this sweet idleness so natural in man, alas, when his work is not remunerated, he thought of the idea of erecting in each community a post where the names of the idlers would be inscribed. But he did not say whether there would be inquisitors to spy out the sin of laziness, tribunals to judge it, and police to carry out the sentence. It is to be noted that the utopians are never concerned with the vast governmental apparatus that alone can set their legal mechanism in motion. When the delegates of the National Assembly appeared a bit incredulous, up strode Citizen Vidal, the secretary of Citizen Blanc, to add the finishing touches to the thought of the master. Following Rousseau’s example, Citizen Vidal proposed nothing less than to change human nature and the laws of Providence. It has pleased Providence to give to every individual certain wants and their consequences, as well as certain faculties and their consequences, thus creating self-interest, otherwise known as the instinct for self-preservation and the desire for self-development, as the great motive force of mankind. Mr. Vidal is going to change all this. He has looked at the work of God, and he has seen that it was not good. Consequently, proceeding from the principle that the law and the legislator can do everything, he is going to suppress self-interest by decree. He substitutes for it the code of honor. It is no longer in order to live or to raise and support their families that men are to work, but to maintain their honor, to avoid the fatal post, as if this new motive were not again self-interest of another sort. Mr. Vidal keeps incessantly citing what adherence to a code of honor has made armies do. But, alas, let him tell us the whole truth, and if his plan is to regiment the workers, let him say, then, whether martial law, with its thirty crimes punishable by death, is to become the code of labor. In a country like the United States, where the right to property is placed above the law (true enough in 1848, when this was written, but not anymore), where the sole function of the public police force is to safeguard this natural right, each person can in full confidence dedicate his capital and his labor to production. He does not have to fear that his plans and calculations will be upset from one instant to another by the legislature. Where, at such a time, is the bold speculator who would dare set up a factory or engage in an enterprise? Yesterday it was decreed that he will be permitted to work only for a fixed number of hours. Today it is decreed that the wages of a certain type of labor will be fixed. Who can foresee tomorrow’s decree, that of the day after tomorrow, or those of the days following? Once the legislator is placed at this incommensurable distance from other men, and believes, in all conscience, that he can dispose of their time, their labor, and their transactions, all of which are their property, what man in the whole country has the least knowledge of the position in which the law will forcibly place him and his line of work tomorrow? And, under such conditions, who can or will undertake anything? What must be the consequence of all this? Capital and labor will be frightened; they will no longer be able to count on the future. Capital, under the impact of such a doctrine, will hide, flee, be destroyed. And what will become, then, of the workers, those workers for whom you profess an affection so deep and sincere, but so unenlightened? Will they be better dressed when no one dares to build a factory? Will they have more employment when capital will have disappeared? I hasten to turn aside from these dreary considerations. It remains for me to examine the consequences of the principle opposed to that which prevails today, the economist’s principle, the principle that derives the right to property from labor, and not from the law, the principle which says: Property is prior to law; the sole function of the law is to safeguard the right to property wherever it exists, wherever it is formed, in whatever manner the worker produces it, whether individually or in association, provided that he respects the rights of others. Whereas the legislator’s principle involves virtual slavery, the economists’ principle implies liberty. Property, the right to enjoy the fruits of one’s labor, the right to work, to develop, to exercise one’s faculties, according to one’s own understanding, without the state intervening otherwise than by its protective action—this is what is meant by liberty. And I still cannot understand why the numerous partisans of the systems opposed to liberty allow the word liberty to remain on the flag of the Republic. If the legislator creates the right to property, there are as many modes of property as there can be errors in the utopians’ heads, that is, an infinite number. If, on the contrary, the right to property is a providential fact, prior to all human legislation, and which it is the function of human legislation to safeguard, there is no place for any other system. Beyond this, there is security; and all evidence clearly indicates that, if people sincerely recognize the obligation of every person to provide his own means of existence, as well as every person’s right to the fruits of his own labor as prior and superior to the law, if human law is needed and intervenes only to guarantee to all the freedom to engage in labor and the ownership of its fruits, then all human industry is assured a future of complete security. There will be no reason to fear that the legislature may, with one decree after another, stifle effort, upset plans, frustrate foresight. Under the shelter of such security, capital will rapidly be created. The rapid accumulation of capital, in turn, is the sole reason for the increase in the value of labor. The working classes will, then, be well off; they themselves will co-operate to form new capital. They will be better able to rise from the status of wage earners, to invest in business enterprises, to found enterprises of their own, and to regain their dignity. Let us never forget that, in fact, the state has no resources of its own. It has nothing, it possesses nothing that it does not take from the workers. When, then, it meddles in everything, it substitutes the deplorable and costly activity of its own agents for private activity. If, as in the United States, it came to be recognized that the function of the state is to provide complete security for all,** it could fulfill this function with a few hundred million francs. Thanks to this economy, combined with industrial prosperity, it would finally be possible to impose a single direct tax, levied exclusively on property of all kinds. But, for that, we must wait until we have learned by experience—perhaps cruel experience—to trust in the state a little less and in mankind a little more. I shall conclude with a few words on the Association for Free Trade. It has been very much criticized for having adopted this name. Its adversaries have rejoiced, and its supporters have been distressed, by what both consider as a defect. I repeat, we asked for the abolition of the protectionist system, not as a good governmental measure, but as an act of justice, as the realization of liberty, as the strict consequence of a right superior to the law. We should not conceal what we really want under a misleading form of expression. The time is coming when it will be recognized that we were right not to consent to put into the name of our Association a lure, a trap, a surprise, an equivocation, but rather the frank expression of an eternal principle of order and justice; for there is power only in principles: they alone are a beacon light for men’s minds, a rallying point for convictions gone astray. In recent times, a universal tremor has spread, like a shiver of fright, through all of France. At the mere mention of the word communism everyone becomes alarmed. Seeing the strangest systems emerge openly and almost officially, witnessing a continual succession of subversive decrees, and fearing that these may be followed by decrees even more subversive, everyone is wondering in what direction we are going. Capital is frightened, credit has taken flight, work has been suspended, the saw and the hammer have stopped in the midst of their labor, as if a disastrous electric current had suddenly paralyzed all men’s minds and hands. And why? Because the right to property, already essentially compromised by the protectionist system, has been subjected to new shocks consequent upon the first one; because the intervention of the law in matters of industry, as a means of stabilizing values and equalizing incomes, an intervention of which the protectionist system has been the first known manifestation, now threatens to manifest itself in a thousand forms, known or unknown. Yes, I say it openly: it is the landowners, those who are considered property owners par excellence, who have undermined property rights, since they have appealed to the law to give an artificial value to their lands and their products. It is the capitalists who have suggested the idea of equalizing wealth by law. Protectionism has been the forerunner of communism; I say more: it has been its first manifestation. For what do the suffering classes demand today? They ask for nothing else than what the capitalists and landlords have demanded and obtained. They ask for the intervention of the law to achieve balance, equilibrium, equality in the distribution of wealth. 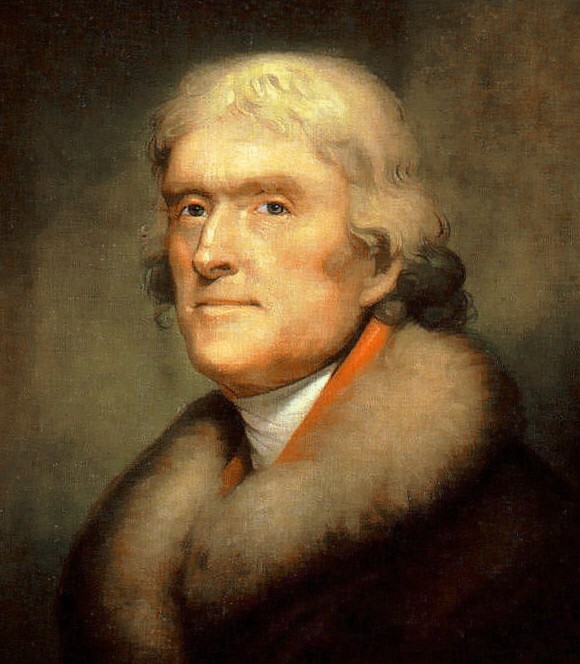 What has been done in the first case by means of the tariff, they wish to do by other means, but the principle remains the same: Use the law to take from some to give to others; and certainly since it is you, landowners and capitalists, who have had this disastrous principle accepted, do not complain, then, if people less fortunate than you are claim its benefits. They at least have a claim to it that you do not. But finally people’s eyes are beginning to open, and they see the nature of the abyss toward which we are being driven because of this first violation of the conditions essential to all social stability. Is it not a terrible lesson, a tangible proof of the existence of that chain of causes and effects whereby the justice of providential retribution ultimately becomes apparent, to see the rich terrified today by the inroads made by a false doctrine of which they themselves laid the iniquitous foundations, and whose consequences they believed they could quietly turn to their own profit? Yes, protectionists, you have been the promoters of communism. Yes, property owners, you have destroyed the true idea of property in our minds. It was economics that gave us this idea, and you have proscribed economics, because in the name of the right to property it opposes your unjust privileges. And when the adherents of these new schools of thought that frighten you came to power, what was the first thing they tried to do? To suppress the study of economics, for economics is a perpetual protest against the legal leveling which you have sought, and which others, following your example, seek today. You have demanded of the law something other and more than should be asked of the law, something other and more than the law can give. You have asked of it, not security (that would have been your right), but a surplus value over and above what belongs to you, which could not be accorded to you without violating the rights of others. And now, the folly of your claims has become a universal folly. And if you wish to ward off the storm that threatens to destroy you, you have only one recourse left. Recognize your error; renounce your privileges; let the law return to its proper sphere, and restrict the legislator to his proper role. You have abandoned us, you have attacked us, because you undoubtedly did not understand us. Now that you perceive the abyss that you have opened with your own hands, hasten to join us in our defense of the right to property by giving to this term its broadest possible meaning and showing that it includes both man’s faculties and all that his faculties can produce, whether by labor or by exchange. The doctrine which we are defending arouses a certain opposition because of its extreme simplicity; it confines itself to demanding of the law security for all. People can scarcely believe that the machinery of government can be reduced to these proportions. 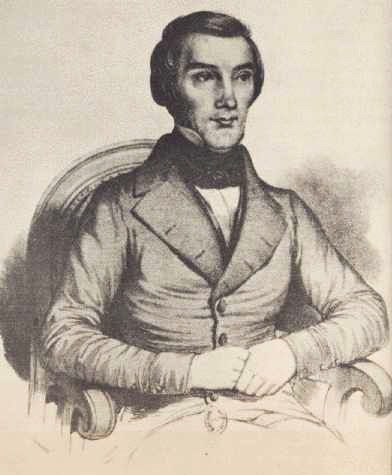 Propriété et Loi first appeared in the May 15, 1848 issue of the Journal des Économistes. The above excerpted translation has been assembled mainly from two translations: http://www.econlib.org/library/Bastiat/basEss3.html#n52 and from Frederic Bastiat, The Law, The State, and Other Political Writings, 1843-1850, published by the Liberty Fund. Also, the French version at http://bastiat.org/fr/propriete_et_loi.html was referenced.